When your company is looking for a new phone system, you might think they all look basically the same. Do you really need all the bells and whistles that come along with some phones? Or is making and receiving calls enough? The fact is that your phone system is a critical piece of business equipment and if it doesn’t have features that make your company run more smoothly, you’re probably wasting money. Following are five features that a new VoIP system can have, that you will actually use. Texting, instant messaging, and emailing have become so commonplace that in your day to day life you might not even check your voicemail. But at work, it’s a different story. If someone leaves you a message, you need to know who is it and what they want. This becomes an issue if you’re in a meeting or on another call when you get the voicemail. VoIP phones can save you the step of logging into your voicemail, listening to a message that drones on, and trying to write down a callback number with voicemail transcription. With this feature, the details of the voicemail will be automatically transcribed and sent to you in an email that you can check no matter where you are. The days of relying solely on gut instinct when making business decisions are long gone. Today, it’s all about data. VoIP can help you track data that you never could before, like your internet bandwidth utilization, incoming and outgoing call statistics, and ultimately where your money and time are being spent. You can use this data (and maybe a few good instincts) to make choices about business, training, and staffing. For so many businesses, customer service is a key differentiator. If you want to stand out from your competition, you need to be at the top of your customer service game. Of course, there will always be times when your reps might slip up or need the help of a supervisor to provide that next level service. A VoIP system, such as a Pennsylvania ShoreTel setup, allows supervisors to coach their team while they are on the phone with customers. A “whisper” feature means supervisors can speak to the rep without the customer knowing while “barge” allows supervisors to jump in and handle the caller’s questions themselves. The results are an improved customer experience, thanks to VoIP technology. Your CRM is another critical piece of the customer service puzzle. With VoIP phones, you can make sure that you’re getting the most out of your CRM through integration. When you integrate your CRM and VoIP phones, your reps can, for example, see all the data they need on a customer before ever picking up the phone. This helps calls go faster and means problems get solved more quickly, leading to happier, more loyal customers. You might not think of your communications system as part of your office security set up, but it can be. With VoIP, you can integrate the call system at your front door with your VoIP phone, allowing you to speak with whoever wants to get in. While physical security isn’t the main reason most people go with a Pennsylvania ShoreTel or other VoIP set up, it can be a useful feature. 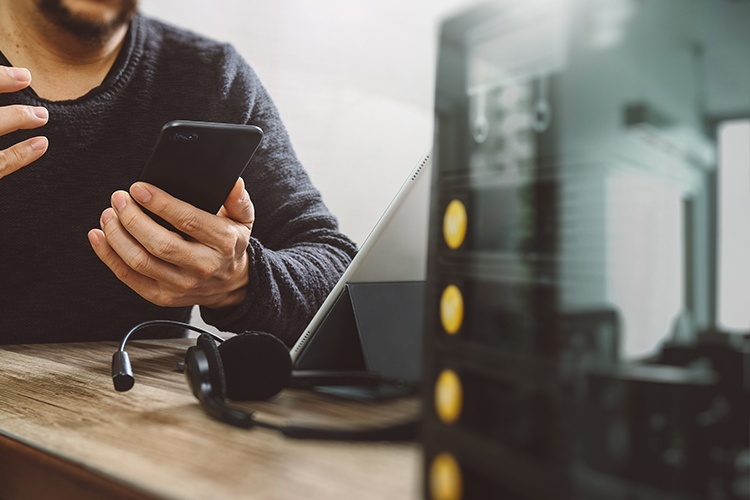 Whether or not these five VoIP features surprise you, you can’t deny that they’re useful for businesses of all sizes. Be sure to download our case study below to learn more about how our Pennsylvania ShoreTel company helped an organization just like yours.